We offer an omni-directional Twin Aviation Obstruction Lamp of LED Type that is in compliance with the international rules and regulations. Moreover, our clients can avail from us customization for these lamps as per their necessity. We make available Aviation Lighting Products that provide the benefits of LED lighting technology and have low operational cost. 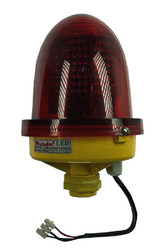 These lights are to be used on high rise structures, buildings, bridges, lighthouses and windmill. In aviation lighting products we make LED Domes and lights and supply for various leading brands. 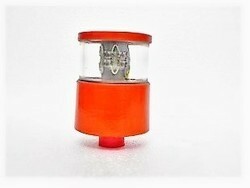 This LED Low Intensity Aviation Obstacle Light is the single light with a light-operated switch.It can work by constant mode automatically when the ambient brightness is lower than 500cd/m2. There are two installation ways for this kind of lights. First, installation with classic. Second, installation with non-classis. The product is suitable for t.